The Pets' latest star is one close to the AnOther team's heart. Henry the tricolour Beagle belongs to Sylvia Farago who worked as photographic director at Dazed & Confused for seven years. When he was a puppy, Farago would bring Henry into the office on a regular basis and he soon garnered a devoted following, becoming the Dazed mascot and even securing himself a place on the publication's masthead. Now Farago runs her own production company Sylvia Farago Limited, working on a variety of projects for brands that include Lane Crawford, Victoria Beckham, Paul Smith and Edun; and in conjunction with an impressive selection of photographers – from Nick Knight and Ryan McGinley to Roe Ethridge and Todd Selby. Throughout she is accompanied by Henry, who himself has made headway in the fashion world, appearing in the Vivienne Westwood S/S10 men's underwear campaign. 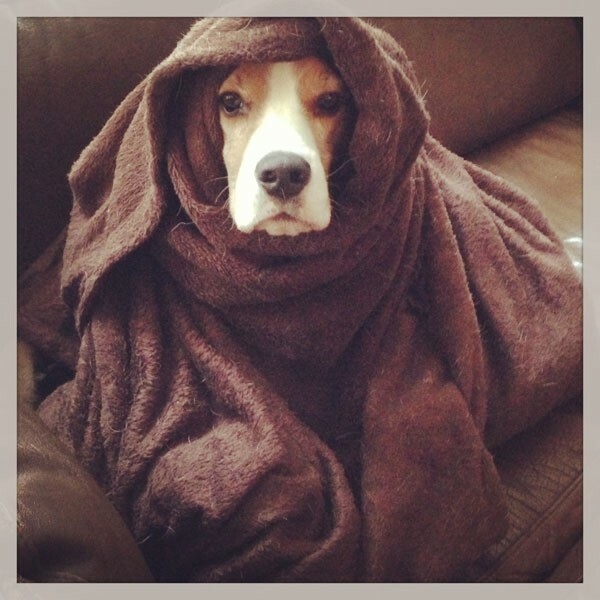 "Henry is gay (in the park he's known as "gay Henry"), incredibly loyal and loving, and is also always hungry"
Beagle variants have existed for over 2,000 years but the modern breed was developed in Great Britain circa 1830 from several different breeds, including the Talbot Hound and the North Country Beagle. Beagles are small to medium sized scent hounds, similar in appearance to Foxhounds, but smaller with shorter legs and longer, softer ears. They have large brown eyes and a medium-length, smooth, hard coat that is typically tricolour or white in combination with red, lemon, orange, brown or black. Their acute sense of smell and tracking instinct means that they are often employed as detection dogs for prohibited imports. Beagles are intelligent, loyal and good-tempered creatures making them popular pets. Beagles have been referenced in art and literature since Elizabethan times (Elizabeth I herself had a beagle), and more recently in film, television and comic books: both Snoopy and Gromit (of Wallace and Gromit) are Beagles. Farago got her Beagle from "a nice man in Huntington." The first night she brought Henry home he cried all night, filling Farago with a fleeting sense of regret: "At that moment I thought, what have I done? This is totally going to change my life." Now, however, she can't imagine life without him and lauds over him like a protective mother. "I know Henry's a bit overweight," she declares, "But it's one of those relationships where I'm allowed to say he's fat, but if someone asks if he's a bit overweight, I'm like, he's not fat, he's a little big boned!" Henry is gay (in the park he's known as "gay Henry"), incredibly loyal and loving, and is also always hungry. His favourite treats are tripe and raw eggs.